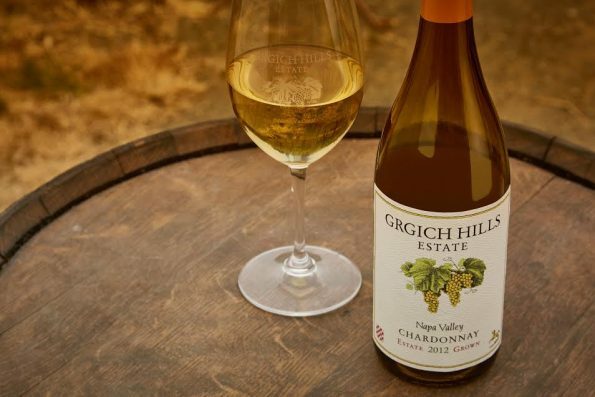 In 2016, Grgich Hills Estate will celebrate the 40th anniversary of the historic Judgment of Paris tasting and its legacy with Chardonnay with vintner dinners across the country, an appearance at the Smithsonian Institution and the long-awaited release of Miljenko “Mike” Grgich’s autobiography “A Glass Full of Miracles” that tells the story of his fascinating life. In 1976, Steven Spurrier, an Englishman who ran a fine wine shop in Paris, decided to promote his wine shop by organizing a blind tasting to coincide with America’s Bicentennial celebrations. For the tasting, he gathered together the best French judges, the finest French wines and he added in a few wines from some upstart winemakers in California. The unimaginable happened: the Chateau Montelena Chardonnay, crafted by Mike Grgich, won with the highest total score of 132 points. In the afternoon tasting of the red wines, the French judges gave their top ranking to Warren Winiarski for his 1973 Stag’s Leap Cabernet Sauvignon, beating the best Cabernets of Bordeaux with 127.5 points! The only reporter to attend, George Taber, wrote in Time magazine about this American triumph, which sent shock waves throughout the world of wine. Taber later wrote a fascinating account of this tasting and its impact in his book, “Judgment of Paris: California vs. France and the Historic 1976 Paris Tasting That Revolutionized Wine,” which will be made into a major motion picture in 2017. The movie will feature Mike Grgich and Warren Winiarski and is being co-produced by entrepreneur Jonathan Rotella and famed Hollywood screenwriter and vintner Robert Kamen, best known for writing the Taken Trilogy and The Karate Kid series. In 2016, Grgich Hills Estate invites everyone to Taste the Legacy and join them for this wonderful celebration at one of these events. At The Royal Palms in Phoenix, diners and wine enthusiasts are invited to join Violet Grgich of Grgich Hills Estate for an unforgettable evening of amazing food and wine pairings to celebrate the 40th anniversary of the Judgment of Paris on October 13th at 5:30pm. For more information and to make reservations, please contact Royal Palms directly at (602) 840-3610 or http://www.royalpalmshotel.com.